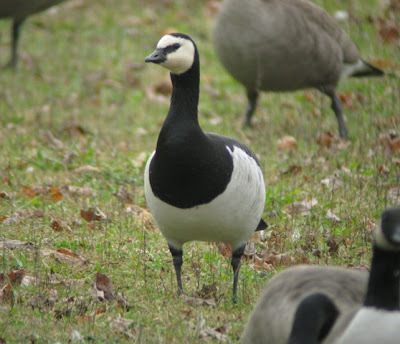 While on my way from Hartford to New Haven this afternoon I stopped into Northford to look for the Barnacle Goose that has been around for the past few days. I was able to relocate the bird around the corner from where it has apparently been spending most of its time. 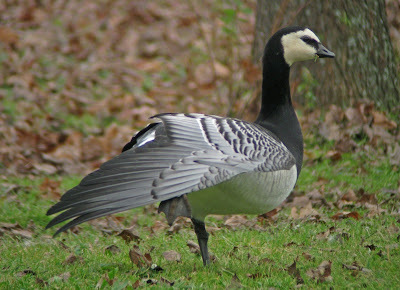 It was hanging out with Canada Geese on a lawn adjacent to a small pond. 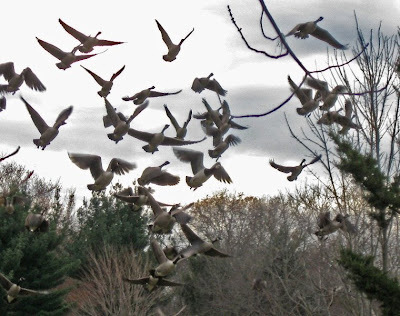 Julian Hough and I enjoyed good looks until the flock took off and flew back to its usual location on Old Post Road. 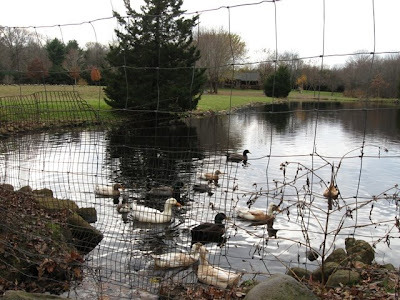 Interestingly the pond, located on private property, held a small flock of domestic and hybrid ducks. Not something I wanted to see next to that sharp Barnacle Goose! But these waterfowl did not associate at all with the goose flock; in other words I'm not particularly worried about this bird's origin. 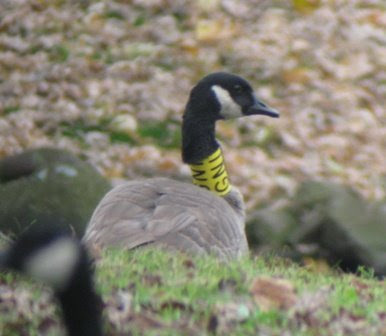 This was the only neck-banded Canada Goose in the flock. 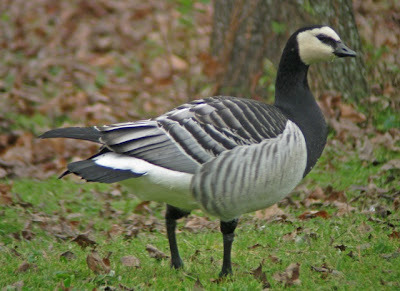 According to the USGS website regarding Canada Geese banded in Greenland, "we are extremely interested in any observations or recovery records of Canada Geese seen or shot in North America bearing yellow neck bands and/or yellow tarsus bands with three letter/digit codes starting with the letter 'G'." This bird fits that criteria, and it is possible that part of this flock traveled together from Greenland. I have reported the bird and am looking forward to hearing the results!